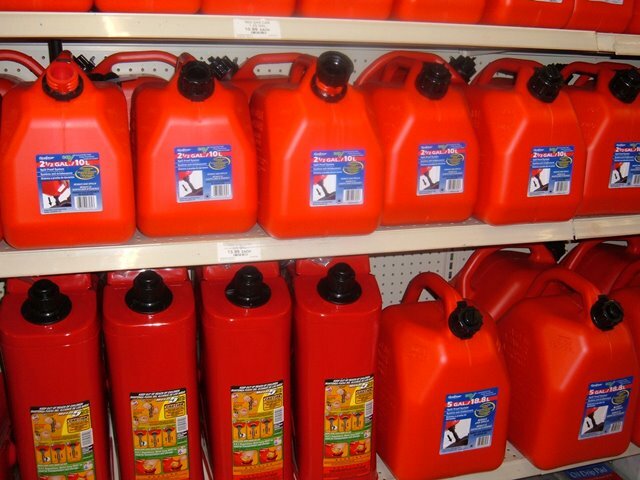 When filling your gas can at a gas station, The National Institute for Occupational Safety and Health recommends never filling up a gas can on a truck bed with a plastic liner or in cars with carpeted trunks or floors. This is because the can won’t be grounded. Flowing gas entering your gas can creates static electricity. The gas dispenser nozzle can create a spark and ignite the gas vapors. 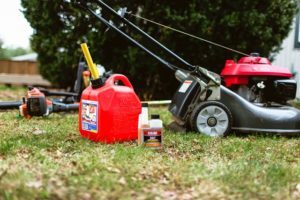 The correct way to fill a gas can is to remove your gas can from your car or truck and place it on the ground about five feet from your vehicle. Gas vapor is heavier than air, so a hot exhaust manifold or catalytic converter can ignite the vapors. Before filling your gas can, always touch the metal on your vehicle to discharge any static electricity on your body. Keep the gas nozzle in contact with the gas can and fill slowly for less static electricity. Only fill your can 95% full to allow room for expansion. Add a fuel stabilizer like STA-BIL® 360 Performance to the gas can every time you fill up to protect the fuel in your can. If you are transporting gas cans, keep them in the trunk or truck bed. In cars, keep the trunk slightly open with a bungee cord to reduce heat buildup and expansion in the gas can. Never add gas to a hot engine, it can ignite the gas vapors. Check out the ultimate fuel treatment cheat sheet! Is most of the information about static electricity not as relevant now that most gas cans are plastic?